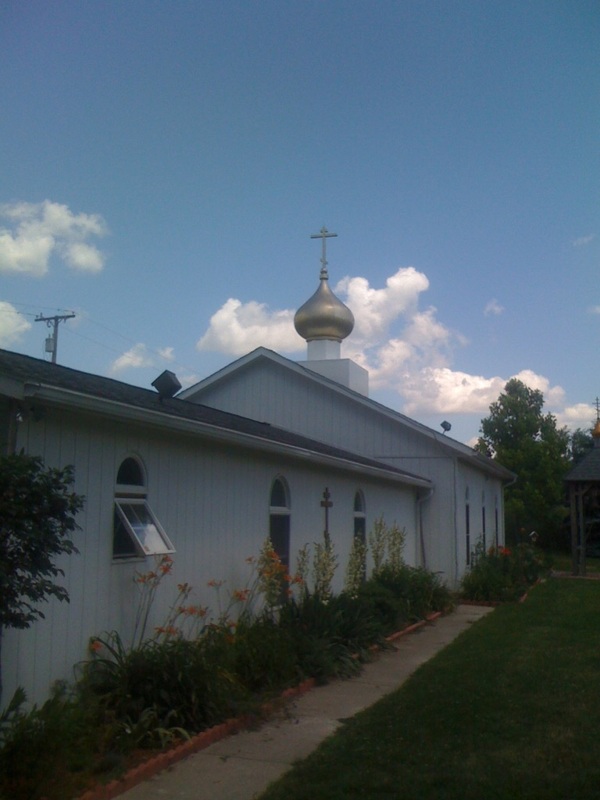 St. Vladimir Orthodox Church, Ann Arbor, MI - YOU ARE WELCOME HERE! Are you looking for a Church Community? We would be very happy to have you join us at St. Vladimir's! As Orthodox Christians we believe that the relationship between the members of the Holy Trinity is the highest and most profound example of love - an example we strive to emulate in our lives and especially in our parish family. Although we all live in the world, we also live as part of our parish family, caring for and educating each other, and supporting each other spiritually as we grow in our faith. COME AND SEE! Please join us at St. Vladimir's for one of the Divine Services, preferably the Sunday morning Divine Liturgy (10:00 a.m.). Introduce yourself if you have time, but we expect you won't, since we'll do our best to introduce ourselves to you before you have the chance! If you have questions about the Orthodox faith please contact us via our church email (info@stvladimiraami.org), or feel free to contact our Rector, Fr. Gregory Joyce. You may also visit our Orthodox Information page to learn more about Orthodox Christianity. We welcome you to St. Vladimir's!